Spend a weekend with Roy, my brother-in-law and friends on a fishing trip. 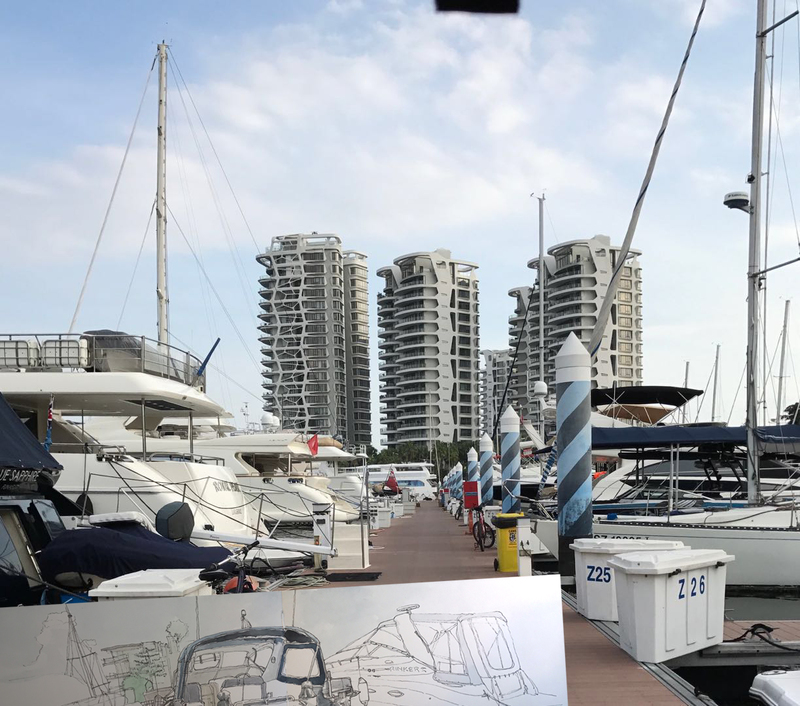 Gone down to the marina the day before in One 15 Marina Sentosa Cove, help out with the preparation before we move out. Fishing location will be around the nearby islands. 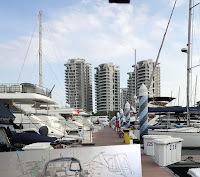 Lots of activities on weekend here at the marina, some partying and others just lying around in their boat, mainly to get away from the crowded downtown and hot humid weather. Weather reported to be fair and not too windy. Hopefully, we have better luck this time compare to the last fishing trip a few months ago. This time around, Roy invited Vincent and David , a friend who like fishing and had lots of experience finding good fishing spots. Anyway, I am glad to be here in my shorts and slipper! put away the thick winter clothing and stay away from the cold weather in Beijing at least for a few days. Lots of nice apartment are built around the marina. Treated more like weekend home getaway, most of these properties are not occupied and rented out to expatriate working in Singapore, I heard. Quite similar to Hong Kong, lots of foreigner rented houses on the island of Tai-O and Lamma Island and they will take ferry to Hong Kong Island every day to work. Well, back in Beijing, we will spend our week days working in town and off to our farm house getaway on weekends to enjoy the clean air, quiet scenery and fresh home grown food. Well, everyone has a way to slow down our working pace and relax our mind once a while.